Styled with rudko t-shirt and continental 80 shoes . Sometimes, comfort really is key. 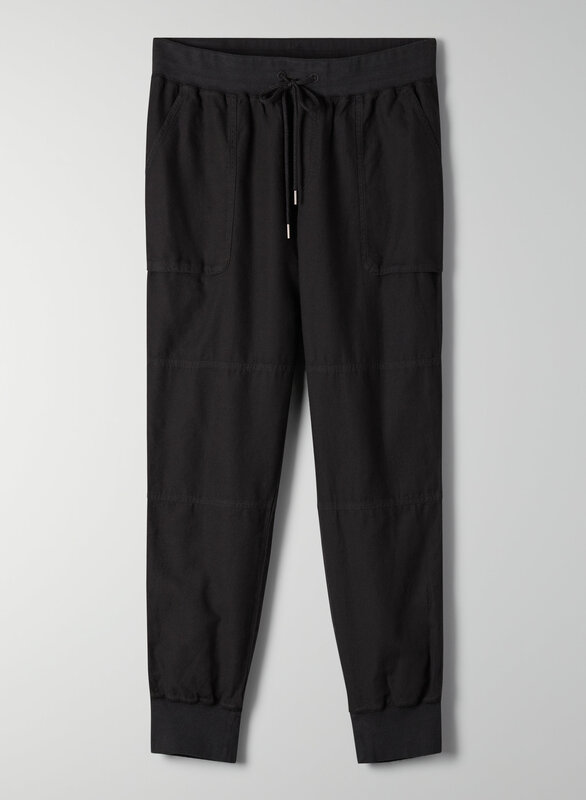 The Ion Pant is made with smooth cotton that feels modern and keeps the silhouette streamlined. Very cheap feeling. Boarderline see through and very odd fit. Waist is high in the back and low in the front. Not good quality. I’m 5’5” and my waist is 29 inches and I got this in M. The details say it’s mid rise and that “on average customers say fits smaller”. But these feel loose and more of a low rise. Even when I use the drawstring I find that I keep having to pull these up. If I went with S, these would feel tight in the legs and knees. Not as comfy as I thought they’re supposed to be. 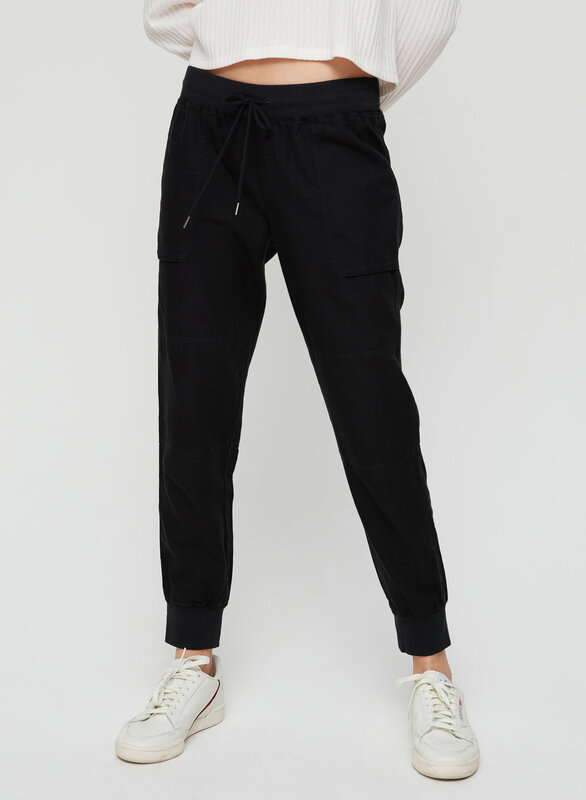 I have these a try after wearing out 3 pairs of Cebu pants (they are cheaply made and became see through or ripped on the seems). These pants still have the light linen feel of the Cebu but have flat pockets on the bum which is nice cause they don’t stick up or require ironing to stay down. Very light , best for Spring, summer or resort wear. Perfect beach pants too. these are a great pair of pants - so comfortable. They stretch out a bit with wear. I am 5'8" and 145 pounds and wear a medium. I absolutely love my ion pant! I have 2 pairs now and they are go tos for me! Thank you aritzia! 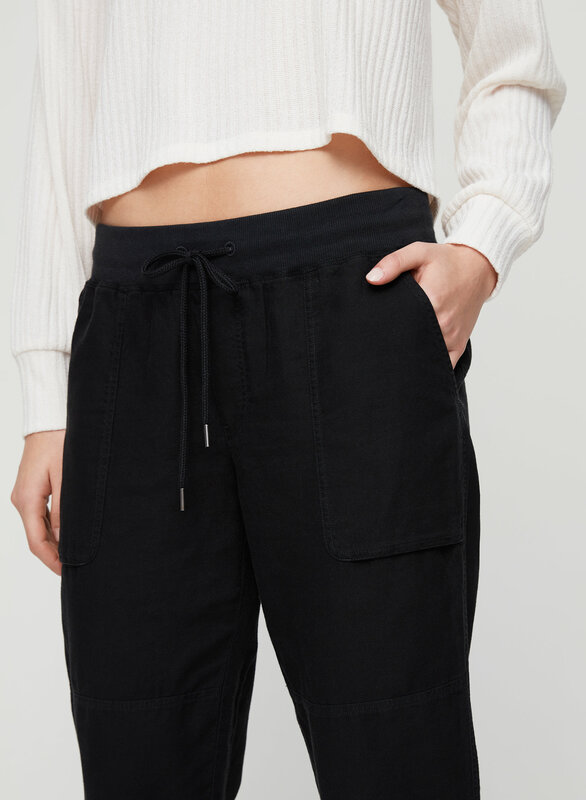 Great pair of pant, the quality is there, like any product from Aritzia. MY favorite store ever. The hoodie is perfect with a legging and it is so warm.